Want to know how to legally travel to Cuba? While there are many ways to cruise to or around Cuba, what about land tours? Until recently, you could go on your own custom designed trip to Cuba. The laws on travel to Cuba have changed recently. After I was all trained up and prepared to book custom land trips to Cuba, the laws changed. I’m going to share how to legally travel to Cuba via land tours as there a many options. I received the following article via email from Jane Montano, Sales Director with Caribbean Destination Travels Inc. regarding how to legally travel to Cuba. The recent changes are through OFAC. What is OFAC? OFAC (Office of Foreign Assets Control) is an office of the U.S. Treasury that administers and enforces economic and trade sanctions based on U.S. foreign policy against foreign countries (Cuba), this includes travel restrictions. How have our organization’s Cuba-related transactions been impacted due to the President’s changes in regards to travel to Cuba? Our company has not been impacted by these changes. Specifically, OFAC issued changes to travel for individuals and groups. 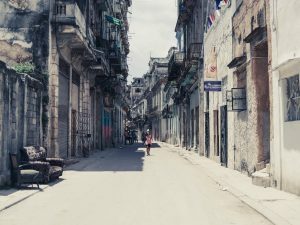 Travelers under U.S. jurisdiction are to engage in travel transactions in Cuba under the auspices of an organization that sponsors such exchanges, such as tours and travel with Caribbean Destination Travels. This is to promote people-to-people contact and must be accompanied by a representative of Caribbean Destination Travels. The representative of Caribbean Destination Travels must accompany each people-to-people educational group traveling to Cuba. This ensures that each traveler has a full-time schedule of educational exchange activities. Our company will provide you with your printed full time schedule to meet your record-keeping obligation for the trip. Why should I travel with Caribbean Destination Travels if I’m researching how To legally Travel To Cuba? Because we have already been providing excellent travel experiences that have always met any and all US OFAC guidelines. All travel arrangements to Cuba must be made and conducted by an organization such as Caribbean Destination Travels, that is subject to U.S. jurisdiction and that sponsors such exchanges to promote people-to-people contact. Travelers – either individuals or groups- will be accompanied by one of our employees. These employees are all subject to U.S. jurisdiction and who are representatives of the organization, Caribbean Destination Travels. Consistent with the Trade Sanctions Reform and Export Enhancement Act of 2000 (TSRA), travel-related transactions involving Cuba are only permitted for the 12 categories of activities identified in the CACR. Travel-related transactions for other purposes remain prohibited. We are happy to provide the same quality tours that fall within the 12 categories as we have in the past. The Office of Foreign Assets Control (OFAC) restricts persons subject to U.S. jurisdiction from engaging in direct transactions with companies identified on the Cuba Restricted List. What is the Cuba Restricted List? In its tours, Caribbean Destination Travels provides their clients with luxury lodging & service options that are NOT part of this List. Absolutely, we feel it is safe to travel to Cuba. It is safer than traveling to many major US cities. There were concerns over mysterious illnesses experienced by American diplomatic personnel and a State department warning. Investigations by both the Cuban authorities and US FBI have are inconclusive. Given that the issues raised by the State Department have not affected any U.S. travelers going to Cuba, travel to Cuba is still permitted and we consider it safe. Can I purchase a ticket to Cuba directly from an airline based or operating out of the United States? Yes, provided that you are authorized to travel to Cuba pursuant to an OFAC general or specific license. Airlines and travelers are responsible for maintaining records of their full time Cuba-related transactions for at least five years. There is no specific dollar limit on authorized expenses. Travelers may engage in transactions ordinarily incident to travel within Cuba, including payment of living expenses and the acquisition in Cuba of goods for personal consumption there. In addition, travelers are authorized to acquire in Cuba and import as accompanied baggage into the United States merchandise for personal use only. 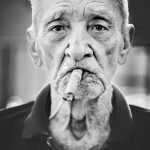 Can I purchase Cuban-origin cigars and/or Cuban-origin rum or other Cuban-origin alcohol while in a third country (i.e. not Cuba)? Yes, persons subject to U.S. jurisdiction may purchase or acquire Cuban-origin merchandise, including alcohol and tobacco products, while in the country for personal consumption. Such products may be consumed or imported into the United States as accompanied baggage for personal use only. Now you know How To legally Travel To Cuba – via land. 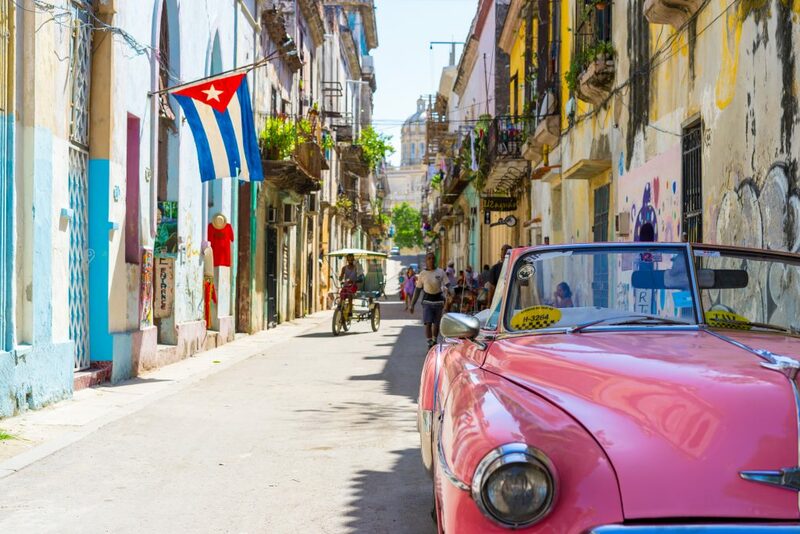 Keep in mind that some cruises also call on Cuba while other cruise options offer an extended stay by visiting multiple ports around the Island nation. Looking for ways to maximize your traveling experiences? Not quite sure how to get there? I’d love to help! If planning stresses you out, I can be your best ally. I love this work and can help connect you with the places and experiences that will stay with you for a lifetime. Want to read more before chatting? Please check out my post on helpful travel apps.